The Securities and Exchange Commission says whistleblowers who report internally are protected against employee retaliation. In an amicus brief filed Thursday, the SEC wrote that employees who blow the whistle should be protected from retaliation under the Dodd-Frank Wall Street Reform and Consumer Protection Act, whether they report internally or externally. The amicus brief is part of a court case in the Second U.S. Circuit Court of Appeals between German engineering and electronics firm Siemens and a former employee who reported corrupt practices at the company. 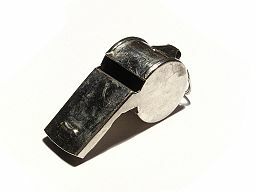 A New York district court dismissed the case at the end of last year, ruling that Dodd-Frank does not protect overseas whistleblowers from retaliation. The court did not comment on whether the employee was ineligible for protection because he blew the whistle internally, rather than going to the SEC. In July 2013, a judge in the Fifth U.S. Circuit Court of Appeals decided in favor of General Electric in a different whistleblower case, ruling that the employee who reported wrongdoing was not protected from retaliation under Dodd-Frank because he reported internally, rather than to the SEC. The ambiguity over who is protected from retaliation stems from wording in the SEC rule. Companies argue that the definition of a “whistleblower” does not include employees who report fraud internally. The SEC says it clarified in a follow-up rule that internal whistleblowers are protected . If the Second Circuit Court rules that internal whistleblowers are not protected under Dodd-Frank, employees might have another incentive to go directly to the SEC with allegations of fraud, rather than sort the problem out internally. Many companies railed against such a hypothetical scenario when the SEC wrote its whistleblower rules, says Reuben Guttman, a director at Grant & Eisenhofer who represents whistleblowers in the pharmaceutical industry. Guttman says the other matter in the Second Circuit case — the fact that the case was thrown out because its plaintiff was not located in the United States — is also troubling. “We live in a global economy. You have companies all over the world, like Siemens, that are engaging in violations of the Foreign Corrupt Practices Act,” he says. “They trade on our exchanges, and union pension funds invest in them, from Wisconsin, to Calpers, to New York State retirement system.” Since the United States does not have enough regulatory muscle to monitor these companies’ activities abroad, it should encourage whistleblowers to report fraud by protecting them from retaliation, he says. For a judge to rule that internal whistleblowing is not protected under Dodd-Frank, the lawyers for Corp America (GE in this case) must argue in favor of that ruling. Unfortunately, this article seems to blame the judge as the culprit in making a ruling inconsistent with the stance of corporate america on internal whistleblowing first, rather than pointing out that corporate america took a certain position politically and the opposite position legally.